Reading time with your child is crucial! Studies have shown children exposed to reading before the preschool years improve speech and fluency in their language, develop logical thinking skills, and are more academically successful. 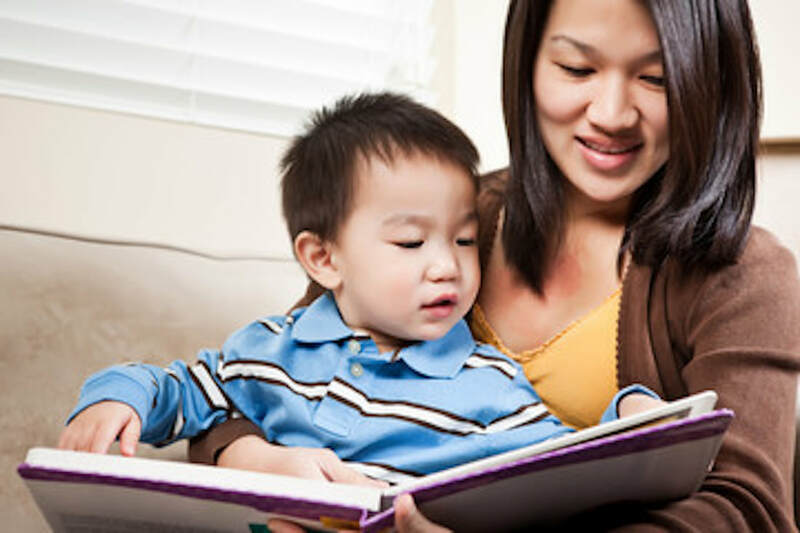 The researchers at the University of Maryland Infant and Child Studies Consortium have compiled ways you can make the most of reading time to best support your child’s development. Follow your child’s lead. Let your child choose the book, and try to talk about what interests your child most! A lot of energy could be spent trying to focus your child on items in the story that you think are important; however, children are more likely to learn the names of items that they pay attention to on their own. Use gestures. Point to the pictures in the story as you name them and follow your finger along with the words as you read. Have your child “help” you read. Pause and let them fill in familiar words. Ask questions! This helps children focus on the important parts of the story as well as practice vocabulary, reinforce concepts and make inferences. Highlight and repeat new words. Label new words and give a simple definition, then repeat or emphasize the word each time it reappears. Repetition helps children learn new vocabulary, and the context of the story helps too. Read it again! Rereading the same book several times allows children to become familiar with the story, enabling them to better learn new vocabulary words and concepts as well as engage in conversation. So keep bringing out your favorites! ​Expand on what’s written. Provide more information, or add different vocabulary. Elaborating helps children learn the meanings of new words. Point out the sounds letters make. For example, “Sssnake and sandwich have the hissy sssss sound, see?” Awareness of sounds is important for children getting ready to read on their own. Make connections between the book and real life. Comment on similarities and differences between the book and things your child is familiar with. (“She has green shoes just like yours!”) After reading, use some of the same vocabulary and concepts in daily life. Download the file below for a free, printable and distributable version of this information! If you are interested in having these brochures professionally printed free of charge for your local office, school, or class, please contact Grace Hynes at ghynes@umd.edu; 301-405-5499; or by filling out the contact form at the bottom of the page. Bernstein Ratner, N., Parker, B., & Gardner, P. (1993). Joint bookreading as a language scaffolding activity for communicatively impaired children. Seminars in Speech and Language, 14(04), 296-313. Erskine, M., Mahr, T., Munson, B., & Edwards, J. (2015). A mediation model of the relationships among phonological awareness, vocabulary size, and speech perception in preschool children. Symposium for Research in Child Language Disorders. June 4-6. University of Wisconsin-Madison. Horst, J. S. (2013). Context and repetition in word learning. Frontiers in Psychology, 4. Newman, R. S., Rowe, M. L., & Bernstein Ratner, N. (2016). Input and uptake at 7 months predicts toddler vocabulary: the role of child-directed speech and infant processing skills in language development. Journal of Child Language, 43(5), 1158-1173. Taumoepeau, M. (2016). Maternal expansions of child language relate to growth in children’s vocabulary. Language Learning and Development, 12(4), 429-446.